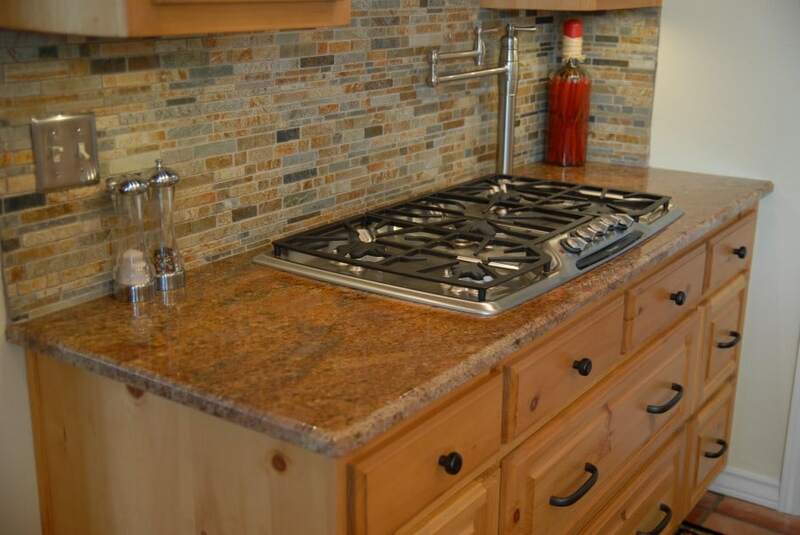 Granite is the most popular type of stone that is commonly used in kitchens. This stone is appealing to many people because of the way it looks and what it’s made out of. It contains feldspar, quartz, and mica and usually has a greyish to white color, although it actually comes in many different granite color varieties as we will discuss and see below. 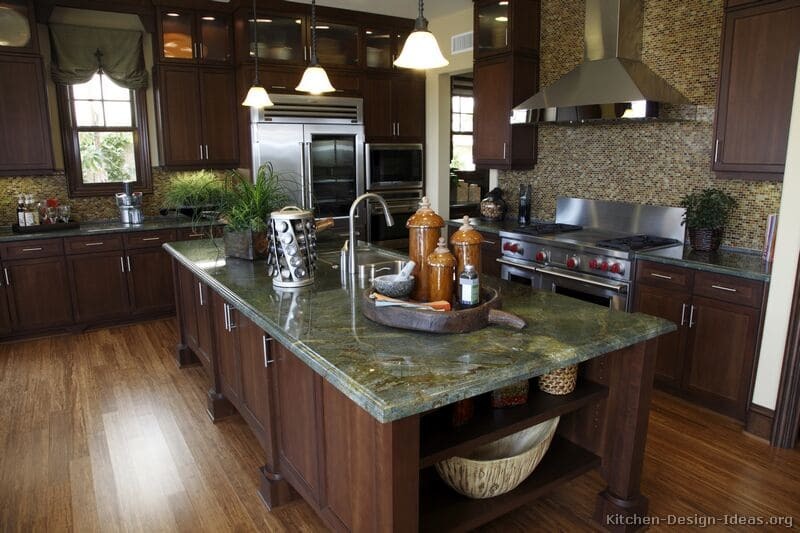 In the kitchen, granite is typically found in countertops, tiles, and cabinet knobs. 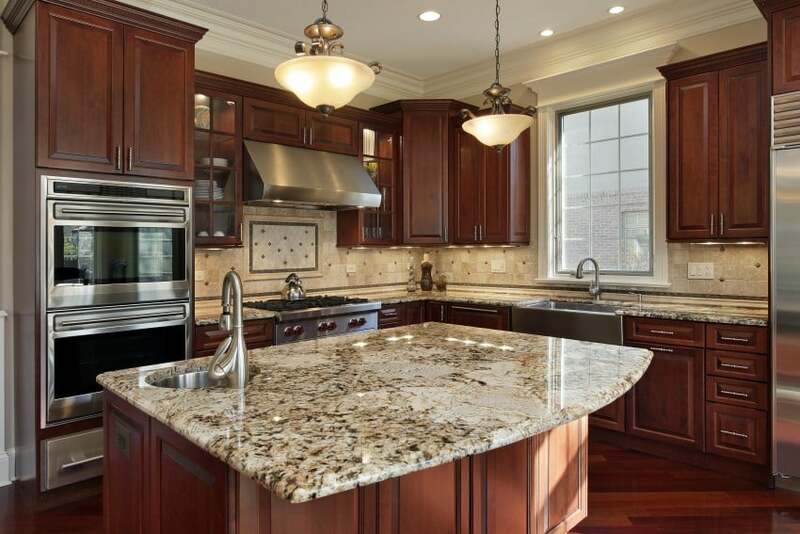 Granite is strong, sturdy, and can even be manufactured in a way so that it is water and stain-resistant. This makes it an ideal choice for the kitchen. Furthermore, putting granite in your home is actually an investment because it adds value to the home. Granite tiles, for example, may never need to be replaced. Other flooring materials, however, can easily get damaged and require repair or replacement. 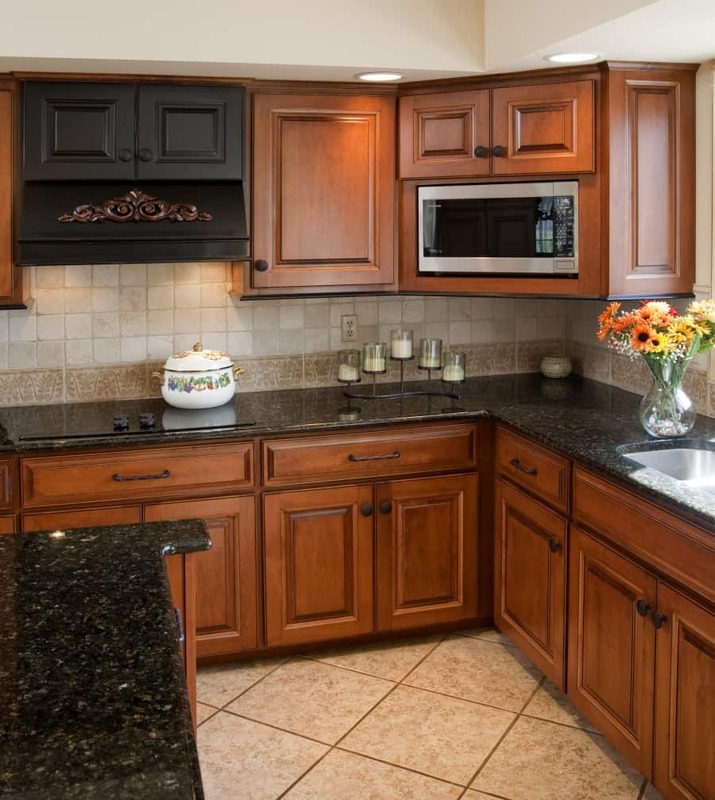 As for the granite cabinet knobs, these knobs nicely complement other granite in the kitchen. 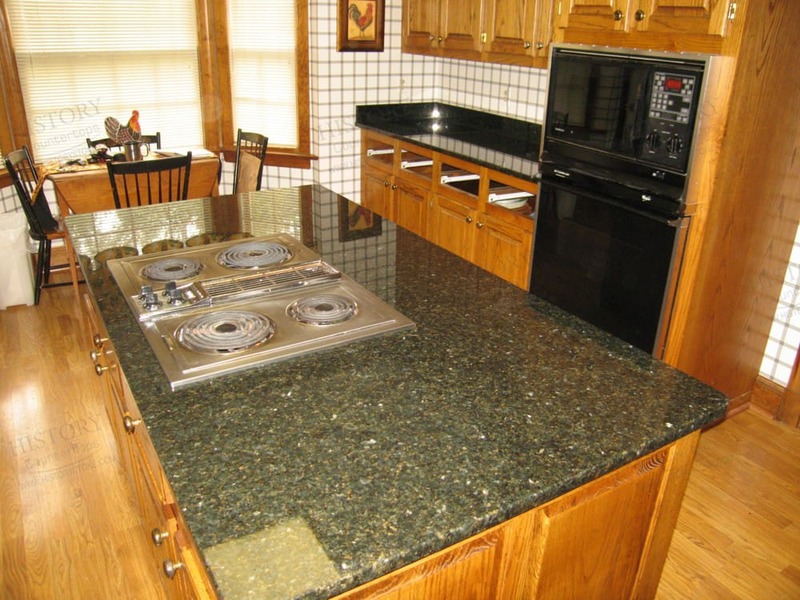 Granite countertops may very well be the most noticeable piece of granite in the kitchen. Not only are they extremely reliable, but they are also aesthetically appealing. Granite coordinates well with almost anything in the kitchen, so choosing this type of countertop material is a wise decision. 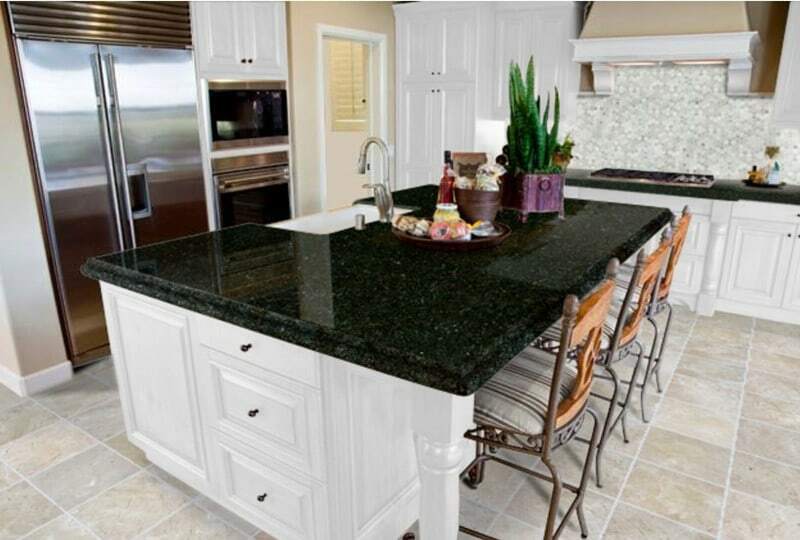 Some of the most popular granite colors for kitchen countertops include: grey, red, black, white, green, ubatuba and gold. 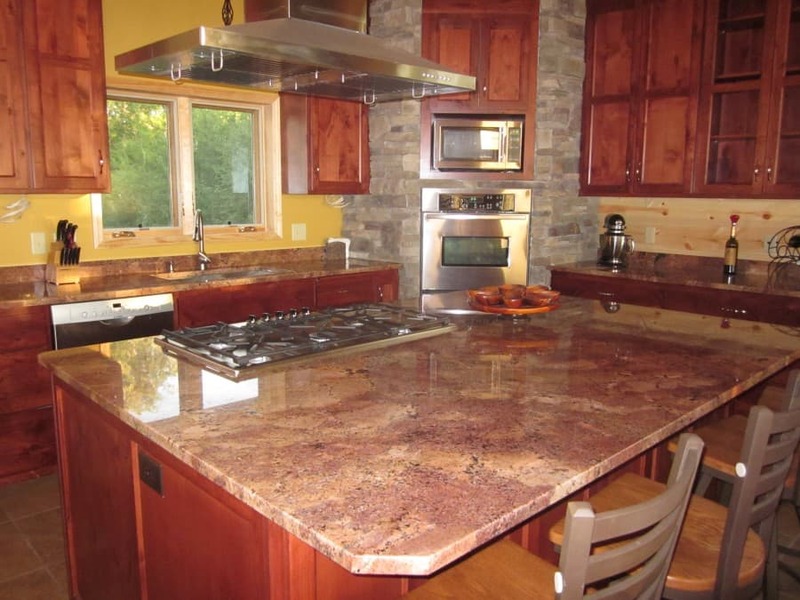 Let’s now discuss some popular colors used in granite countertops in kitchens. As mentioned above, grey granite is fairly standard. That’s not to say that it isn’t an attractive choice for your kitchen countertop, though. Grey granite meshes very well with other common colors in the kitchen. For example, many people have black ovens. Since grey granite is dark and often contains black pieces in it, it perfectly complements the black oven. 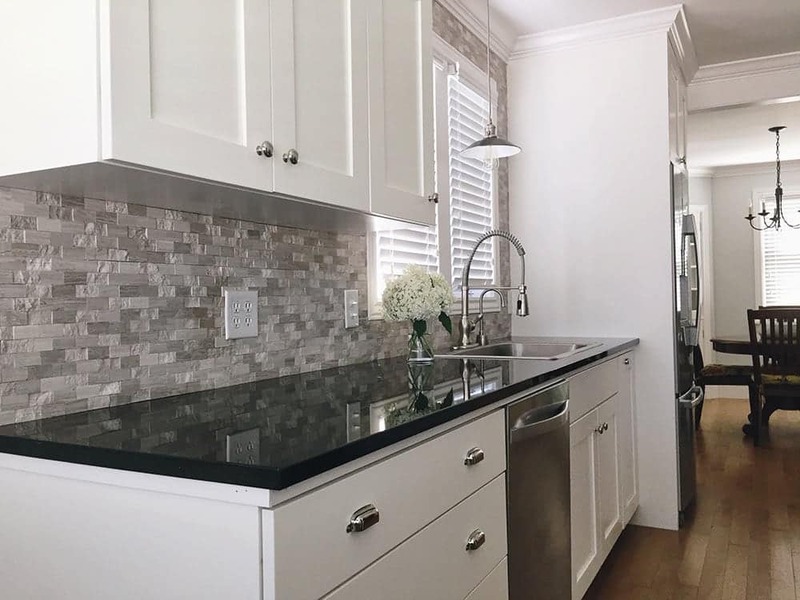 Grey granite also has some lighter areas, making it a good complement for lighter-colored cabinets or other lighter-colored fixtures in the kitchen. 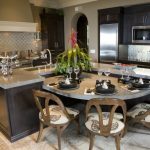 Since the color grey is often associated with professionalism, implementing a grey granite countertop in your kitchen will give your kitchen a professional look and feel. 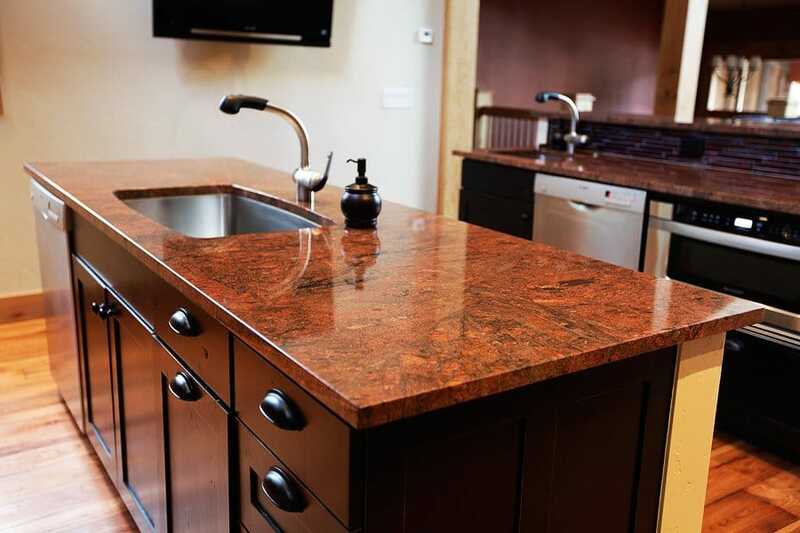 Red granite countertops draw more attention to themselves than almost any other color of countertops, especially if you choose a lighter and brighter hue of red. This isn’t necessarily a bad thing. 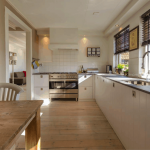 Countertops, especially island countertops, are often at the center of a kitchen. People prepare food on them, eat meals on them, etc. 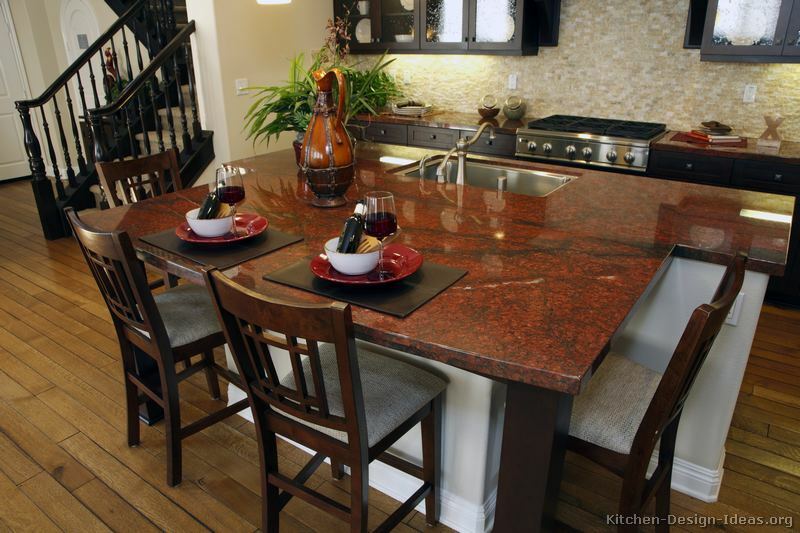 A red granite countertop can also give your kitchen more vibrance and life. 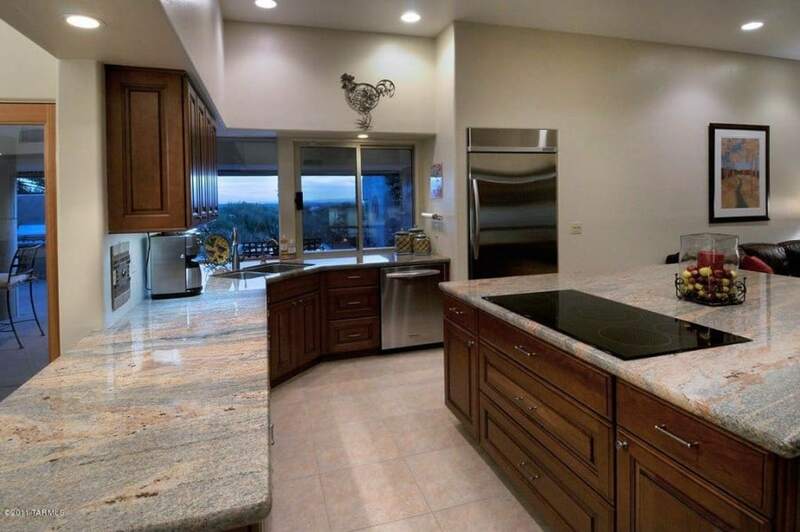 If you can’t decide between red granite and grey granite, there are even countertops that have a mixture of both colors in them. Red and grey countertop combinations create an interesting and natural look for the kitchen. Black granite countertops are stark. They draw attention to themselves in a different way than red countertops, and they look very modern. Additionally, they complement many other fixtures and appliances quite well. Going back to the black oven example from earlier, black countertops will definitely match a black oven. They’ll also provide a unique contrast with white cabinets that you won’t find with other granite colors. 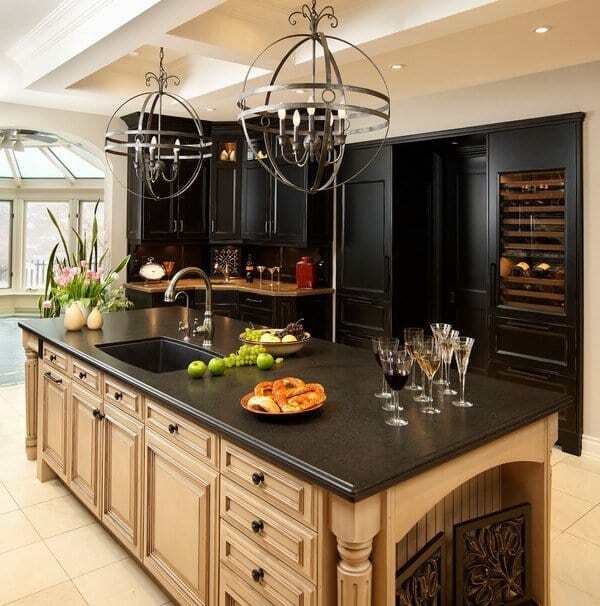 Also on the aesthetic end, it’s worth pointing out that black granite countertops are less likely to absorb stains. This is very important because stains can stand out on some lighter-colored granite countertops. 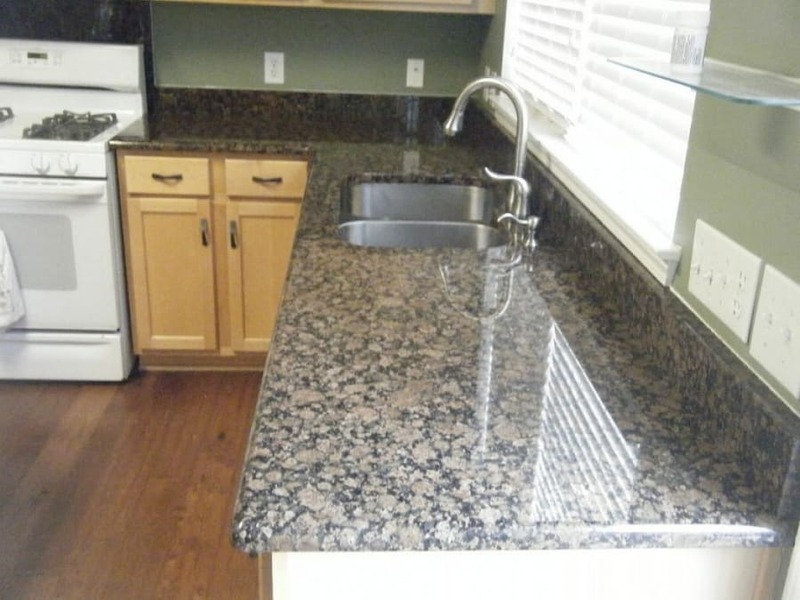 As a side note, it’s worth the extra money to ensure that any granite you purchase is water and stain-resistant. When you hear “white granite,” you may think of Alaska white granite or River white granite. These are two nice choices if you prefer a white granite countertop; however, the different varieties of white granite are endless. 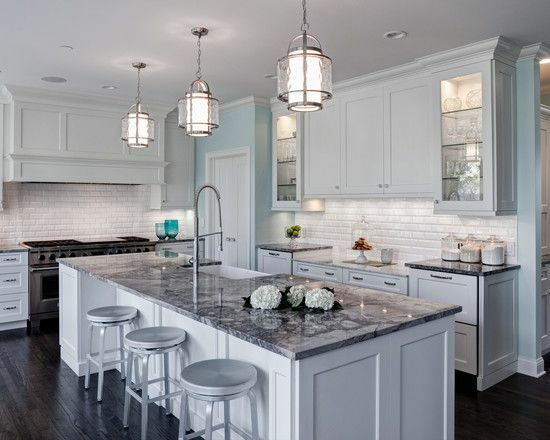 Compared to some of the other colors of granite, white granite creates a lighter atmosphere in the kitchen. Also, white granite is interesting in that it usually contains white, grey, and even a little bit of black. Some varieties of white granite, such as Alaskan, even contain other colors. 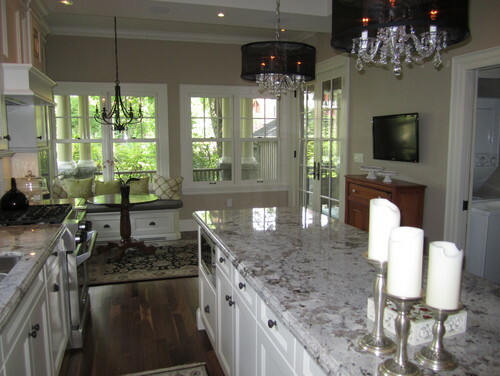 This means that white granite is very easy to match with other items in your kitchen. White granite will go nicely with white cabinets, a black oven, a black microwave, and even your faucet. 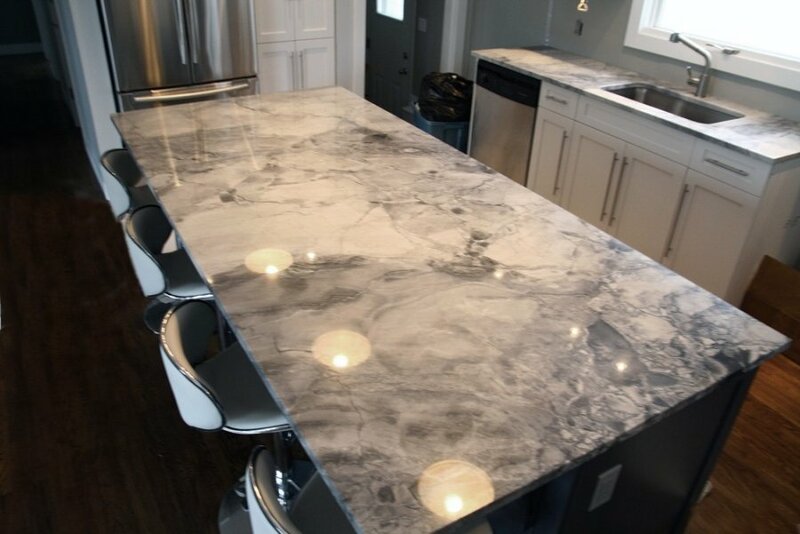 If you’re at all concerned about matching colors, white granite may be an ideal option for you. 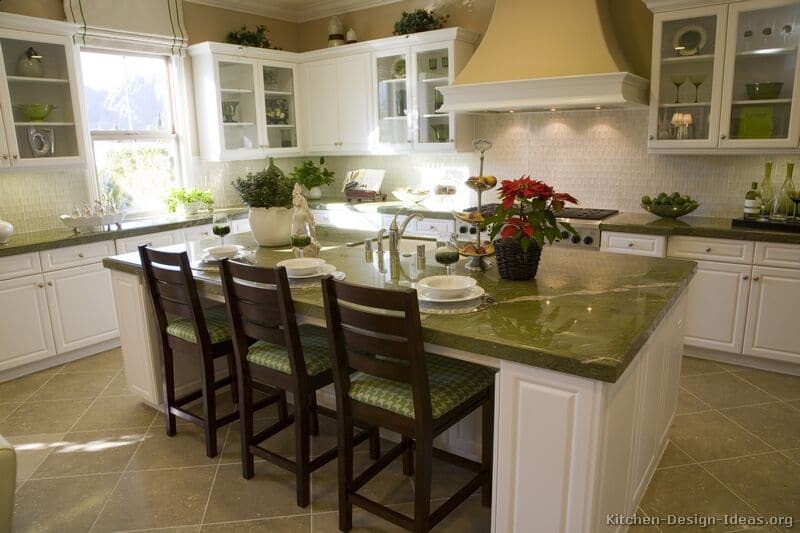 Green granite has become increasingly popular in kitchens. They create a natural look and remind you of the environment. Furthermore, green countertops come in many different hues. You can easily find light green, dark green, and many in-between shades. 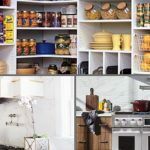 Since several of these varieties contain white and grey, you won’t have to worry about matching the countertops with the other items in your kitchen. 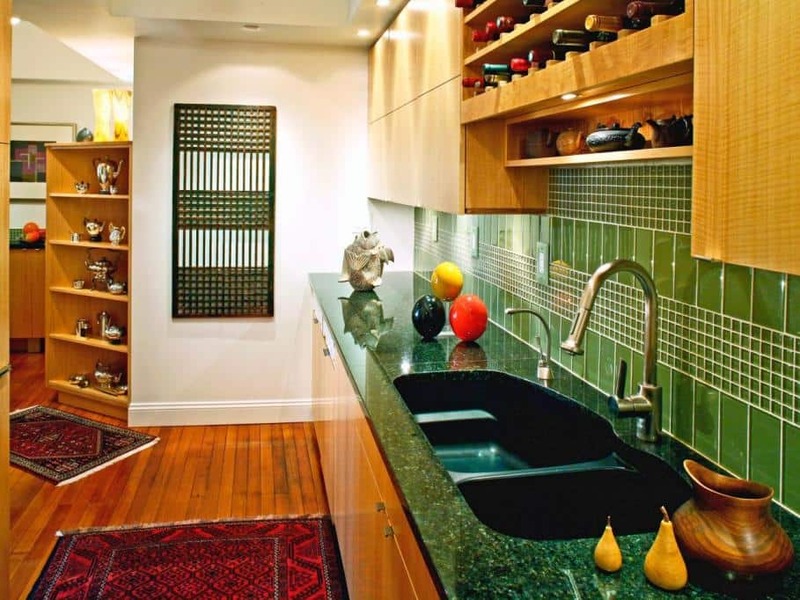 Depending on the shade, green granite countertops can also create a nice contrast with other items in your kitchen. 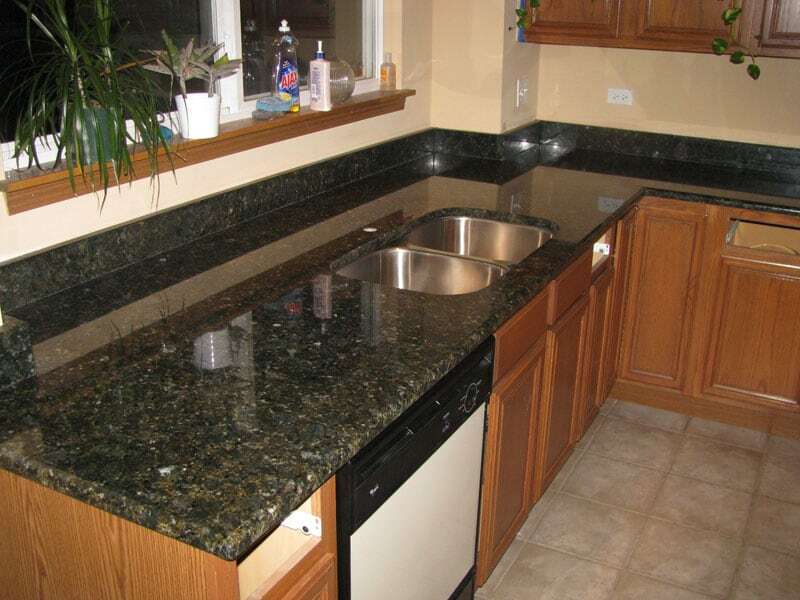 Some other colors of granite don’t allow you to have complement and contrast, but green does allow for this. 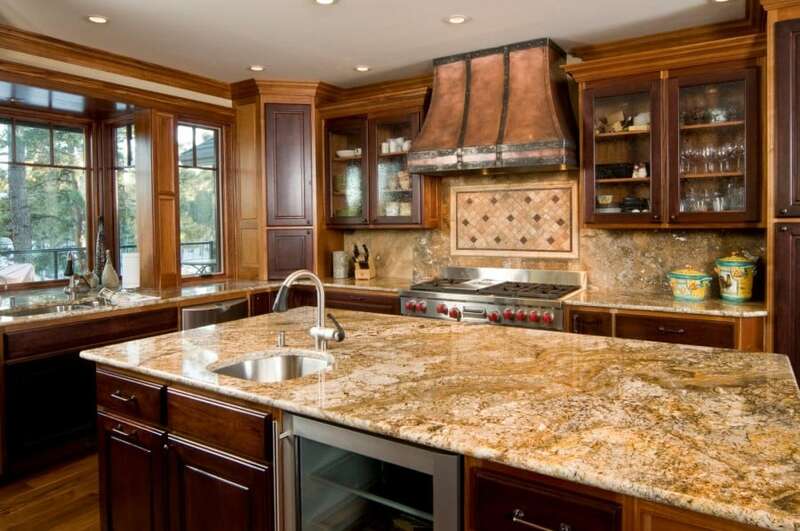 All granite is elegant, but gold granite is especially elegant. 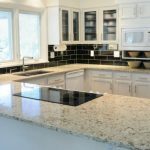 If you have anything in your kitchen with a golden color, or even if you just want to make your kitchen ornate, then gold granite is a fine choice. 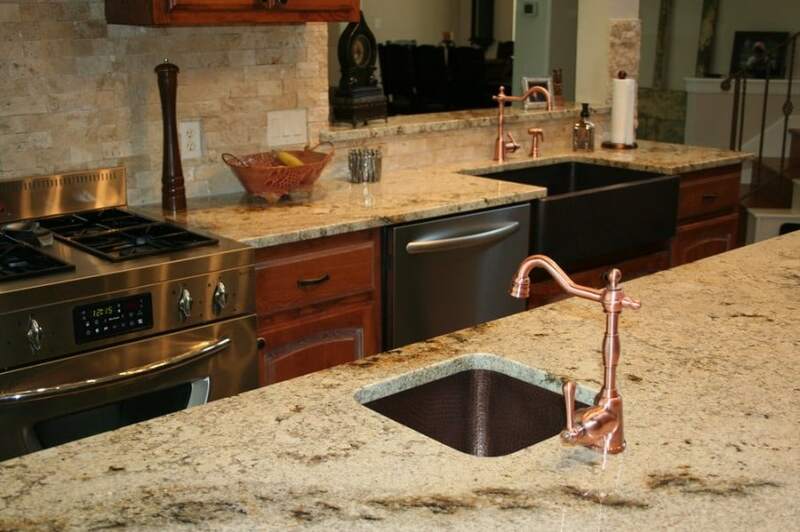 Many gold granite countertops contain brown pieces in them, making them ideally suited to match brown cabinets. Additionally, gold granite, like many of the other colors of granite, comes in light and dark varieties. 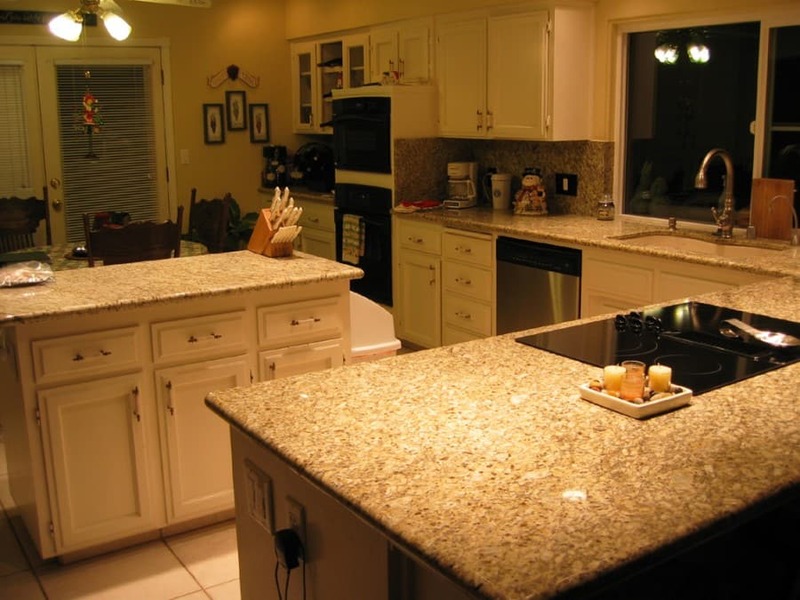 Depending on the look and feel of your kitchen, you should be able to find a gold granite hue that is suitable. 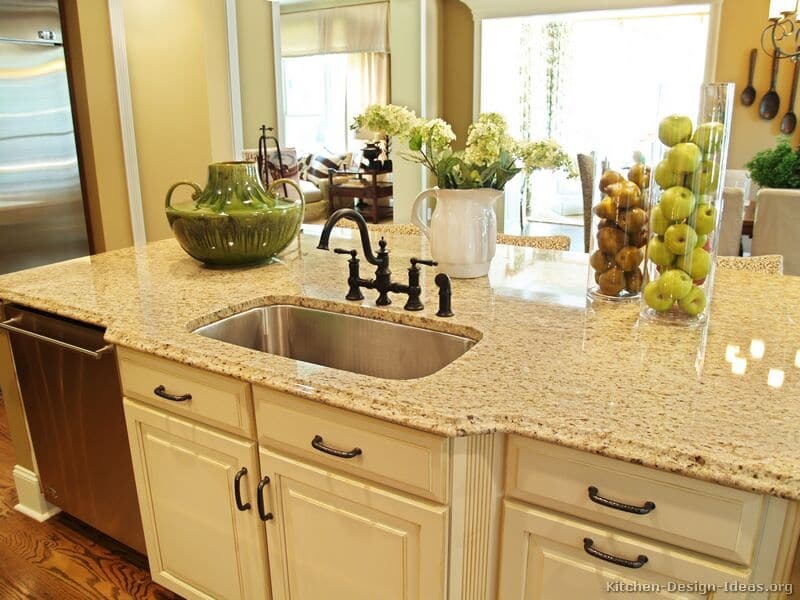 If you’re still not sure which granite to pick for your kitchen countertops, you may want to consider beige granite. 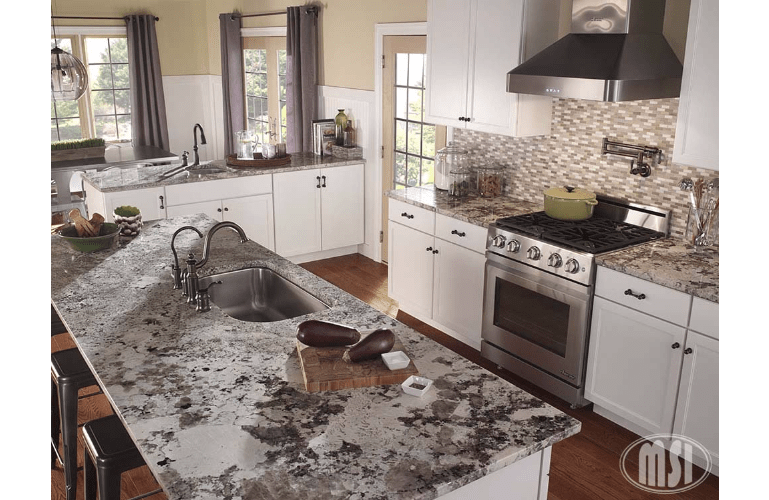 Since it is more neutral than some of the other granite colors, beige granite complements almost any kitchen style, and it doesn’t make any strong design statements about your kitchen. 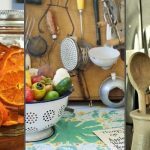 Perhaps you don’t want your countertops to stand out anymore than they have to. In this case, beige is ideal. Or perhaps you want to direct attention to something else in your kitchen besides the countertops. Here again, beige is a good choice. The Uba Tuba Granite certainly has a strange color name but its actually a popular choice. It’s mostly greenish in color but with black in it as well. 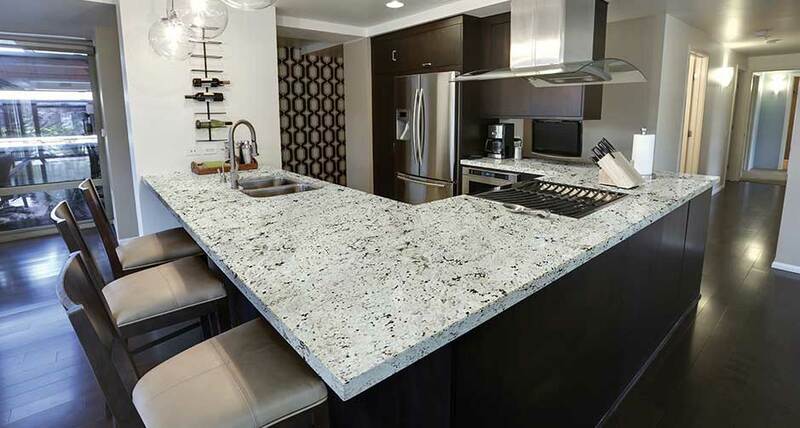 This granite color type is also called Verde Uba Tuba and can also contain color speckles of gold, white and brown in addition to green and black. This type of granite has its origin in Brazil. Regardless of which granite color you choose for your countertops, you can’t go wrong with granite. Granite combines strength and durability with aesthetic appeal in order to make for an ideal kitchen countertop.